Trackspeed Engineering was founded in 2009 by three Miata enthusiasts, but our experience with Miata performance stretches beyond the origins of our company. 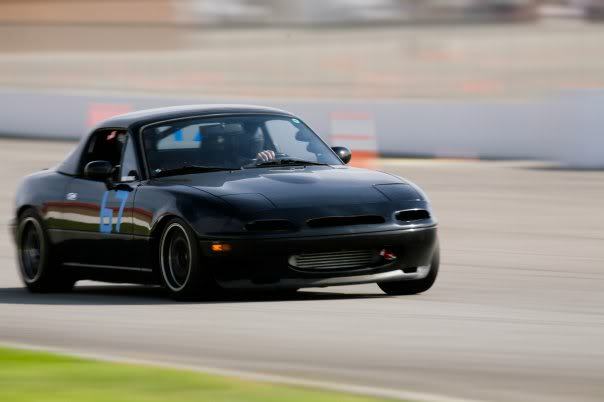 The two remaining founders have been driving and racing Miatas since 2006, and Trackspeed was formed to bring the solutions we pioneered on our own cars to the general public. Trackspeed specializes in 1st and 2nd generation (1989-2005) Mazda Miata performance, and our catalog offers rebuilt and strengthened engines, turbocharger components, strengthened driveline components, suspension and coilover parts, larger brakes, wider wheels, and everything else needed to transform an NA or NB Miata into exactly the car you want to build. We maintain a rotating fleet of cars used to develop new products, and our catalog of parts is growing and improving on a regular basis. Our goal is to provide the best products and world-class support to our customers, to understand their project and suggest products based on their individual usage, and to push the boundaries of what was previously thought to be possible within the Miata platform. We would love to assist you in building your dream car, and we invite you to call or email us today.